I just got this Snowflake, my first Rolex/Tudor watch. I love wearing it, but wish it had functional dial and hand luminosity. Would I be nuts to exchange the dial and hands for service items? Of course, I would be preserving the originals to preserve the value. It strikes me I might be better to leave well enough alone, see what the dollar value of these are. Any suggestions on good sources for service dials/hands? 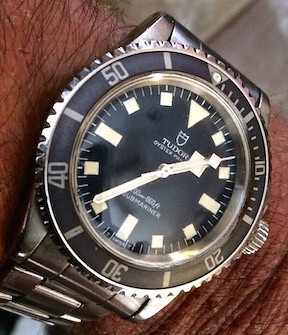 Next Topic: Anyone wearing their Tudor today?